This post is by Géric Javid of ecommerce software company Boost My Shop. Based in the Marseille area, France, Géric has managed websites and marketplace seller accounts for retailers since 2006, mainly in the high-tech and home furnishing product categories. At Boost My Shop, he oversees development of their Magento-based repricing tool for Cdiscount, Amazon, Fnac and other marketplaces. Cdiscount is one of the largest and most important ecommerce web sites in France. With sales of €2.74 billion in 2015, of which €1 billion is from their marketplace C le Marché, they are a giant in the industry. Not only that, the Cdiscount marketplace is less competitive than Amazon France, and they are active in recruiting and supporting international sellers. Read on to learn more about Cdiscount, and decide whether they are a marketplace that you could benefit from selling through. How big is Cdiscount and what does it sell? 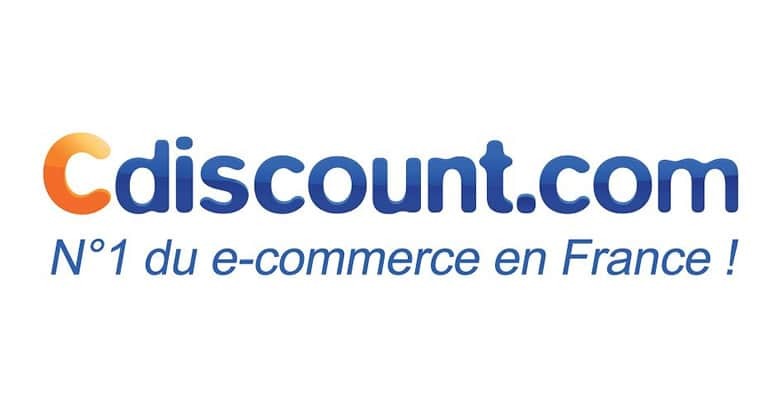 Founded in 1998, Cdiscount is one of the largest ecommerce companies in France. Since 2000, it has been a subsidiary of Groupe Casino, a French retail group established over 100 years ago. Today, Casino has operations in Europe, South America and South Asia and annual revenues close to €50 billion. Casino created a new company, Cnova, in June 2014 to consolidate all their ecommerce activities, including Cdiscount. Cnova and Cdiscount-branded websites are now present in 12 countries with a total turnover of €4.8 billion in 2015 (including marketplace sales), up 16.4% compared to 2014. Cdiscount was initially a retailer selling only their own goods. They launched their own marketplace – C le Marché – in 2011. Overall, Cdiscount is the second-largest ecommerce website in France, after Amazon (source: FEVAD) and it continues to grow strongly. With 7,000 pro sellers and €1 billion of sales, it’s marketplace is particularly strong. For comparison, Amazon.fr has 20,000 pro sellers but a much smaller average basket size than Cdiscount’s €110. The French ecommerce market is the third-largest in Europe behind the UK and Germany. Cdiscount has been a leader in French ecommerce for many years, although recently it was surpassed by Amazon.fr. But Cdiscount is less competitive, with approximately three times fewer sellers than Amazon. Encouraging and supporting cross-border trade is a major part of Cdiscount’s strategy. As the name implies, Cdiscount targets people looking for low prices. Over the years, Cdiscount has developed a reputation for having the lowest prices, so tends to attract price-conscious consumers. Only the best price is shown to shoppers in the equivalent to Amazon’s Buy Box – other factors are not taken into account. Cdiscount is particularly strong in high-tech products and computing, and is popular among young technology enthusiasts. Buyers can collect their orders through the Groupe Casino store network, providing more than 2000 parcel collection points throughout France. This is particularly important for convenience and to save on delivery charges for heavy goods. How do you set up as a seller on Cdiscount? Professional sellers with a valid VAT number can apply to sell on Cdiscount. Prior approval is required, and can be requested by email to Clemarche_sourcing@cdiscount.com or by completing the online form (an English-language version is available by clicking on the flag at the top right). Cdiscount reserves the right to accept or reject an application, and the specific acceptance criteria are confidential. Once registered as a professional seller, the account is activated. Cdiscount require sellers to have French-language customer support by email, but you can use a third-party service for this, like Salesupply mentioned above. French-language phone support is not required. For returns, sellers need a French returns address, or can send a prepaid shipping label or pay for the cost of an international return. How do you sell on Cdiscount? The seller interface is available online or through an API. The listing process depends on whether or not your products are already listed in the Cdiscount catalog. For catalog products, you need to set the selling price, condition (new or used), and the level of available stock. As soon as inventory is added, it appears on the Cdiscount site and is visible to customers. Flash sales can be set up in advance by specifying the sale period and amount of discount. There is a monthly subscription of €39, then a variable commission between 4.5% and 20% depending on the product category. The commission is charged on the total amount of the transaction including shipping. When an order is placed, an email is sent to the seller. The order should be processed within 2 working days, to confirm product availability. The order amount is debited from the buyer’s account as soon as the seller confirms product availability. A positive or zero balance in their seller fees account with Cdiscount. A valid bank account number. Customer complaints and refunds also affect the balance available for payment to the seller. As mentioned above, Cdiscount requires customer service to be provided in French. Item not received. Cdiscount recommends taking this up with the parcel carrier, and providing a refund or replacement to the customer as soon as possible. Item not as described. Cdiscount expects the seller to accept a return and refund the order. Item is defective. The customer should request a return of the product, and the seller should provide a refund or replacement product. Returns for any other reason. In France, the customer has a legal right to return their item within 15 calendar days of delivery. The seller must refund the order less return costs. Counterfeit item claims. It is strictly forbidden to sell counterfeit items on Cdiscount. In this case, sellers will be required to refund the customer and will have their account terminated. Cdiscount mediate when there are disputes between buyers and sellers. Like Amazon, they tend to side with the buyer most of the time. Cdiscount does not have a concept of seller performance like the Amazon marketplace, and performance is not a factor in calculating which seller gets the “Buy Box”. Price is the only factor, however it does take shipping into account and if the item is fulfilled by Cdiscount it will assume free shipping even if the buyer is not a member of Cdiscount à Volonté (more on that below). However, since 2015, Cdiscount is closely following the performance of sellers and if too many complaints are received the seller will be suspended quickly (the exact trigger level is not known). In the last year, suspensions have become more common but they are still rare compared with Amazon. Suspended sellers can contact Cdiscount to appeal, but they should be prepared to wait – Cdiscount only provide email support and replies can be slow. For all options other than immediate collection from the seller’s own store, the seller sets the postage cost per item, with the ability to set a sliding scale when several products are purchased in one order. There is also a fulfillment service similar to Amazon FBA called Expédié par Cdiscount and a free-shipping scheme like Amazon Prime called Cdiscount à Volonté. For a product with a value up to €40, the customer can choose any delivery option. Between €40 and €10,000, the customer can choose tracked or signature on delivery. Above €10,000 only signature on delivery is available. Sellers can choose not to offer standard delivery (untracked), but must provide the other options. Standard delivery is the default option for products costing less than €40, unless the seller has chosen not to offer it. A shipping discount is automatically calculated when multiple products are purchased from the same vendor. The total is the shipping cost for the item with the highest shipping rate, plus a per-item charge for each additional product from the same seller. For Groupe Casino in-store collection the order is delivered to and collected from Groupe Casino stores including Casino and Géant hypermarkets and supermarkets, and Leader Price and Franprix stores. This delivery method applies only to selected products authorized by Cdiscount, which are mainly small items due to space restrictions in the stores. For immediate collection, the customer can come and collect their order from your own store for up to six hours after purchase. This applies to all products flagged as being available immediately in store, and no shipping charges will be added. Supported collection point networks are Relais Colis, Mondial Relay and So Colissimo. If the buyer chooses this option, the order is delivered to the collection point of their choice. This option is only available for products selected by the seller. Cdiscount offers their own logistics service, C Logistique, to other ecommerce retailers both for sales made through their own marketplace and sales made through outside channels. Like Amazon’s FBA, Cdiscount has a fulfillment service integrated into the marketplace called Expédié par Cdiscount (Shipped by Cdiscount). Expédié par Cdiscount provides warehousing and fulfillment services so sellers can store products in Cdiscount’s warehouse then have them automatically shipped to the customer when they are purchased. The service is quite new – around one year old – and can only be applied for by email. Products fulfilled by Cdiscount are labeled on the site as “Expédié par Cdiscount” and qualify for free delivery. Cdiscount has a free-shipping subscription like Amazon’s Prime called Cdiscount à Volonté (Cdiscount on Demand) which costs €19 per year and provides free shipping on orders over €25. Cdiscount also runs special offers for Cdiscount à Volonté members. The program is around two years old, but it is now being heavily marketed by Cdiscount and we expect it to become much more popular with buyers. Using Expédié par Cdiscount qualifies products for Cdiscount à Volonté. This can be beneficial for sales, but we have not seen as significant an effect as with Amazon FBA and Prime. But because shipping is free, the price can be more competitive against other sellers, and product ranking in search results may also be improved. Unlike Amazon FBA, C Logistique charges sellers the same price for fulfillment whether orders are from the Cdiscount marketplace or outside channels. There are charges for receiving, picking and packing, shipping and storage, but the fees are not stated publicly. How do you succeed selling on Cdiscount? Cdiscount is very strong in computers, electronics and household appliances and sellers of those product categories will find a large number of buyers on Cdiscount. Cdiscount themselves have been focusing on recruiting sellers of home furnishing, jewelry and luggage. There is no way to optimize product data for search ranking because Cdiscount create all the product information themselves. The focus is really just on price. Sellers need available stock and a low price to sell successfully on the marketplace. Cdiscount has its own repricing feature which allows sellers to set a “floor price” for each product, then the price is adjusted automatically one cent at a time until the cheapest price is reached. This feature is quite brutal and drives prices down very quickly – it cannot raise prices when competitors raise theirs or go out of stock. Cdiscount is the largest marketplace in France, behind only Amazon. They have a large population of buyers, and enjoy the backing of retail giant Groupe Casino. Cdiscount are actively seeking foreign sellers to round out their product catalog and compete on price with existing sellers. If your products appeal to French buyers but are not easily available in France, or you can provide better prices than local sellers, then Cdiscount is an excellent place to add to your sales channels. Boost My Shop provides a Cdiscount synchronization plugin for Magento and the only standalone repricer with Cdiscount support: Smart Price. Boost My Shop’s apps are also listed in the Web Retailer directory. I would like to know how I would ask costumers to give me Feedback, as a seller on c discount. I have a question about invoices. What is the easiest way to create invoices for the customers? Is there maybe an offline tool available hat can read the output of CDiscount? Or does it have to be an add-on to a shop? Cdiscount don’t provide any tool to generate an invoice, but there are several add-ons regrading your cms to import order in your cms then be able to generate your invoice. If you are on magento you can check the cdiscount extension from boostmyshop. I have a question about the bank account. I am a Chinese seller, and I have a EUR bank account opened with a Germany bank. Can I use that bank account to receive my selling funds on Cdiscount? Or I must use the bank account provided by WorldFirst? sorry alsoe for the late reply…. for people that are still loking for this information, yes of course you can use your own account and if you have one in EUR it’s better than use worldfirst. Worst payments of all marketplaces. The seller on Cdiscount shall fulfill the customers orders and wait months for the money. Bad business. usually cdiscount is not keeping your money as amazon do when there is any problem on your account. if your money was not available there was certainly a problem regarding bank . Dear sir, I wonder if you can help me. I purchased a treadmill from cdiscount fr. which is not the correct spec, I want to email them, could you please tell me their email address as I am unable to find.